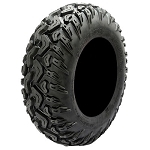 The newest tire added to Carlisle's stunning line of ATV products is the Black Rock. If you're looking for an all-terrain tire that will ride smooth but still perform in extreme conditions, the Black Rock is the tire for you. 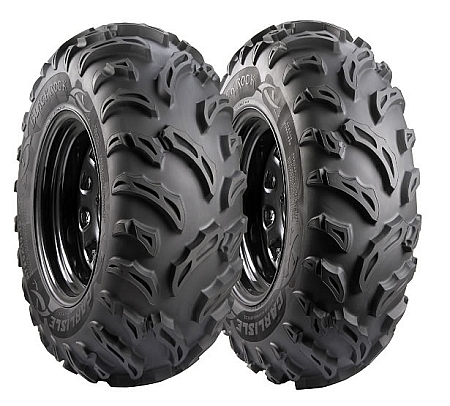 It's 6 ply carcass will withstand any obstacle you throw at it and it's aggressive tread design will give you the traction you need to keep up with the best of them (if you aren't already the best rider out there) Carlisle ATV tires have proven themselves to be one of the best in this industry. When you buy a product with their name on it, you know you will receive a product that is built to last! 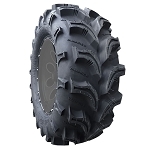 - Carlisle Black Rock ATV Tires are sold individually. - In most cases our Carlisle Black Rock Tires ship out within 1 business day! - Excellent tire for trail and mud conditions. Just received the 24-9-12 Black Rocks for the front of my ATV. Runs great, very aggressive, absolutely NO problem in the mud. Good tires have a price...will definitely tell my friends about the! Q: How deep is the tread on the Black Rock ATV tires? A: Hi, The Carlisle Black Rocks are not radial tires they are bias, they are just a nylon 6 ply tire. These are good tires and would do well for what you need but there are better options out there in 8, 10 & 12 ply for your riding conditions. Q: does this come with the rims?